Antique chandeliers of any age generally before 1900 had long drops for high ceilings as they were made for citizens with the money to pay for them and were mostly a show off item. 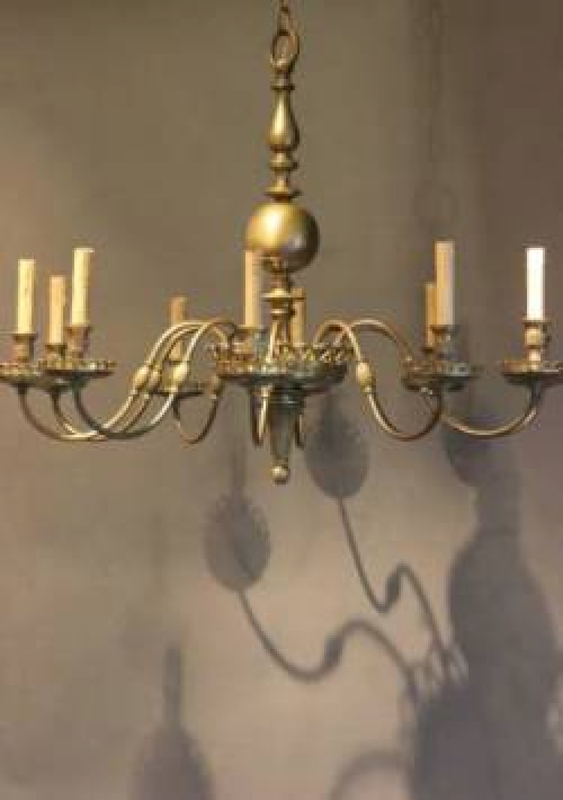 After the introduction of electricity late 19th C/early 20th C chandeliers became more available, Edwardian electroliers were introduced and manufactured for the masses in suburbia, these had lights which pointed downwards. However, as Europe recovered from WW1 and the economics improved houses were built with lower ceilings (easier to heat) and some chandeliers began to appear in the 20s - 50s with short drops and wide spreads which nicely filled white ceiling spaces. More of these were manufactured in the 70s and 80s and these are often passed off as 1920s or 1930s models, (pretty easy to tell if they are mass produced by looking at the metal work). We have a couple of good original ones on the site at present as pictured. One 1930s and one 1950s.